Well folks, this is it. The time has come. The moment has arrived. 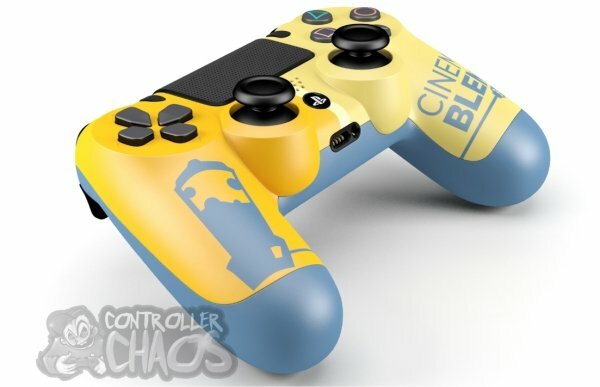 Controller Chaos and Cinema Blend have teamed up to offer gamers a free PS4 or Xbox One controller. So how do you get hold of one of these awesome controllers? What do you need to do? Well, it's quite simple. 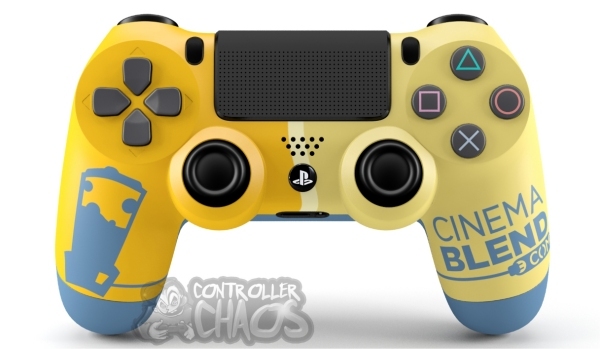 Simply let us know on our Facebook page what you think are the three best designs on Controller Chaos (next to the Cinema Blend livery, of course), and you're entered for a chance to win a free PS4 or Xbox One controller, each one is worth over $100. Check them out in better detail below. 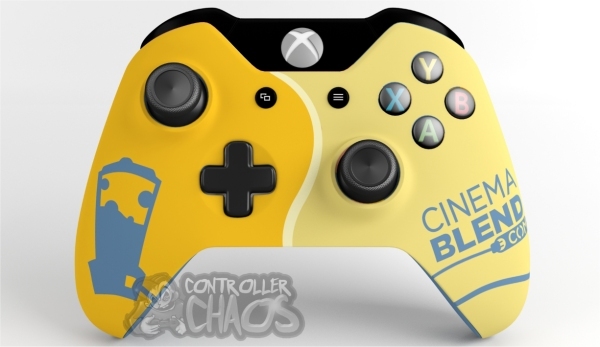 These controllers were hand-crafted by the good folks over at Controller Chaos and offer Cinema Blend readers the opportunity to get their hands on their very own free rendition of a Cinema Blend-themed controller for either the Xbox One or the PS4... it's your choice! These aren't just shell covers, either. They are actually custom built controllers – some with embedded modification support for games like Battlefield 4, Call of Duty and arcade titles with rapid-fire or turbo-button support. It gets pretty technical with some of the more detailed options, which is why the prices can run so high. It's a little like the West Coast Customs of home console controllers. 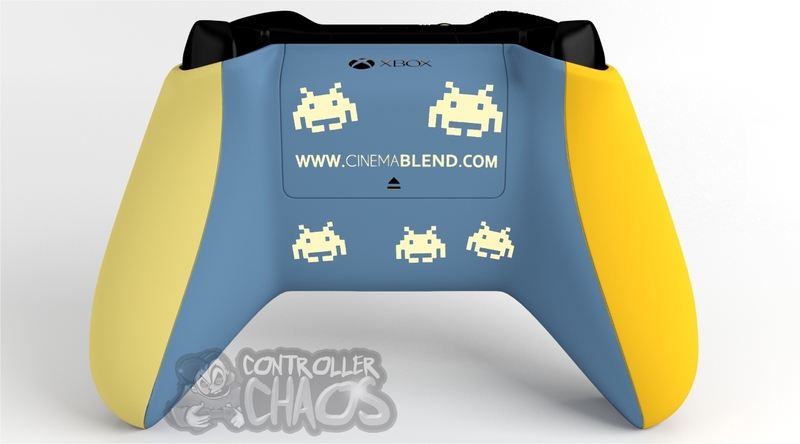 Still, you won't have to pay a dime to get your hands on these custom built beauties based on the Cinema Blend brand. 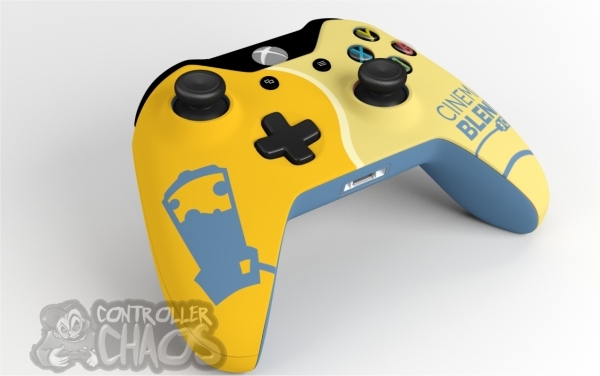 One of these will be yours, and all you have to do is let us know what are three best livery designs offered by Controller Chaos. Any of them will do. Post your answer on our FACEBOOK PAGE. 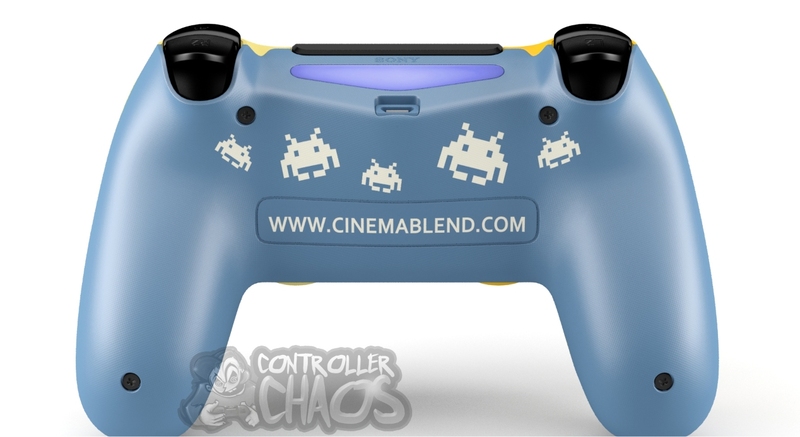 You can also check out designs of the custom Cinema Blend controllers below. Don't waste too much time, be sure to let us know which controller designs tickle your fancy the most (next to the Cinema Blend controllers, of course). Disclaimer: The giveaway is limited to U.S. residents only. If you're selected, you'll be notified via Facebook message. Participant(s) will be selected at random. The giveaway will end on Tuesday, April 1st at 12:00am (which means you have until Monday night).